No fewer than 30,000 primary and intermediate teachers have resolved to embark on nationwide strike over pay rise agitation in New Zealand. Trade union says the teachers are taking part in a nationwide strike on Wednesday for the first time in more than 20 years to demand a pay rise. The strike was organised by the New Zealand Educational Institute, the largest education trade union in the country. “Today history was made as 30,000 teachers took to the street nationwide. “Thousands turned out at rallies and marches across the country to support primary teachers and principals, ” the trade union wrote on Facebook. According to Radio New Zealand, the trade union insists on smaller class sizes and a 16-per cent pay spike over two years for primary school teachers and special education coordinators. The Education Ministry however, offereds gradual increases between 14 per cent for new teachers and six per cent for their experienced colleagues. 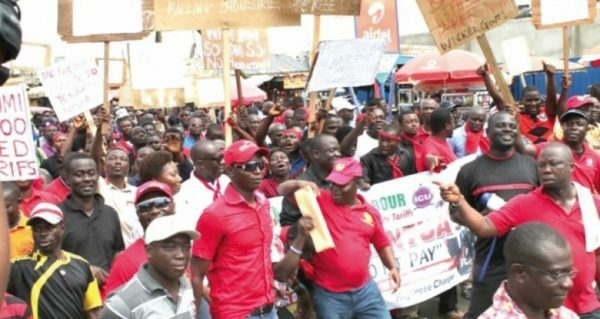 During the rally, the striking teachers voiced readiness to go on a two-day strike if they did not receive a better offer from the ministry, the media outlet reported. Prime Minister Jacinda Ardern addressed the crowd after the rally, calling on the teachers to cooperate with the government on the issue and noting that meaningful change would take time.